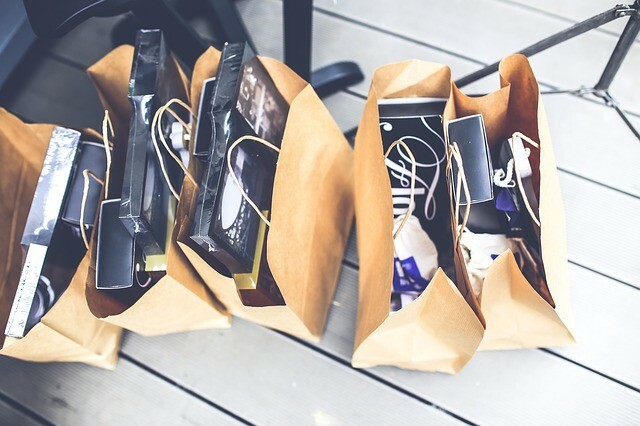 Black Friday is coming soon and most likely, you’re already planning your holiday shopping. Of course, you want to take an advantage of the best prices possible and fortunately, you don’t need to run from one shop to another one or call your friends asking about the most attractive deals. You can use best personal finance apps to control your budget but also you need these shopping apps to boost your savings! They allow comparing prices and save consumers time and money. Thus, according to Shopatron’s Retailer eCommerce Study, for the past holiday seasons almost 90% of consumers used their smartphones to compare prices and to check products’ reviews. Latest applications surprise shoppers with new great options so don’t hesitate to try them! This app can save you lots of money! All you have to do is to scan a barcode and you’ll get the information from online stores. You can save even more because the app lightens the information and stores loyalty cards. This app can save you so much money so you probably will not even need visiting Personal Money Service official website to get financial help) To be serious, ShopSavvy watches when an item you’re looking for will be available at a discount and allows you to see when there are sales at major stores. In addition, you can use the app like a barcode scanner. With BuyVia you definitely will be first to hear about sales! This app will perfectly suit for those who are looking for tech gifts this season. First of all, you can use a barcode scanner to make sure that the price you see in a certain store is the lowest one. Secondly, it compares prices in outlets and lets you get alerts. Also BuyVia quotes reviews and gives an advice to who the gift would be good for. Want to be sure you’re buying something for the best price possible? Use Smoopa to scan the barcode and the app will compare it to online prices. You’ll see a green button if the store offers the best deal and a yellow one, if it doesn’t. Also Smoopa provides you with an opportunity to get gift cards and to make charity donations. The Find takes care of your precious time and locates next to deals. It also shows what’s available online and provides you with useful results only. Choose to get price alerts to see when something you would like to buy will be on sale. With PriceGrabber you can do more than searching online deals. Look for online stores having great deals and use a barcode scanner to compare prices in a store to online ones. Save time and money buy scanning products and comparing prices. Use this app to find users reviews to get to know more about the product you want to buy. If you make reviews yourself, you earn rewards! With ScanLife you can compare local prices to online ones easily. Also you can check user reviews for products and share on Facebook what you have found. Earn rewards and get gift cards! Download these apps already now to be able to compare prices and find the best offers! Check how to find the best Black Friday deals and save money by making price comparison. Using all these apps is simple so actually, you haven’t to make any special efforts to buy what you want on the best price!